Folks in our newsroom get promotional packages from PR representatives on a daily basis.Most of it is junk that winds up on our office kitchen table, untouched. 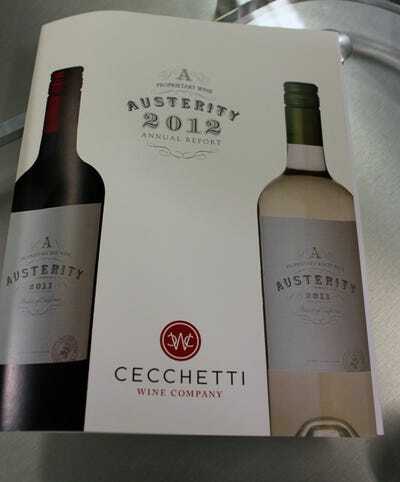 But today we got one from a winery called Cecchetti Wine Company that we actually thought was pretty funny. Here’s why it worked (and no, not because it included two bottles of wine). 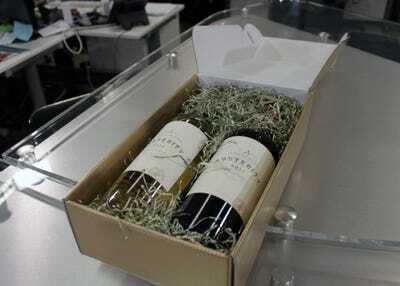 The return address and heavy weight of the package tipped us off pretty quickly that we'd been sent wine. But the heavy cardboard box felt nice. 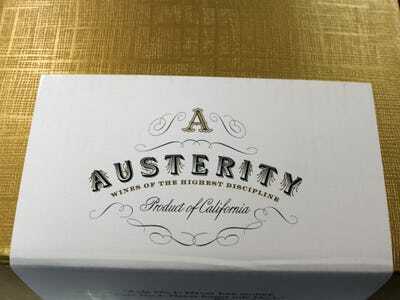 Austerity — what kind of name is that for a wine? 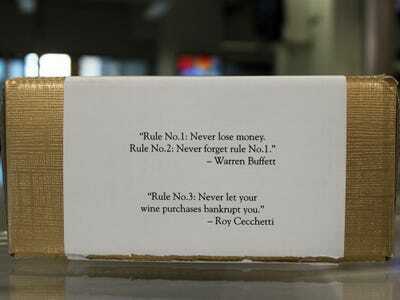 A quote from Buffett, and an addendum from the owner of the wine company. Nice touch. 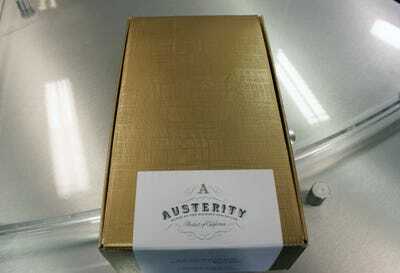 Looks like we weren't the only ones to receive some Austerity. 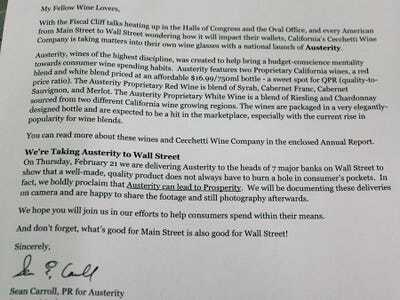 According to the PR pitch, the company is also delivering bottles to the heads of seven Wall Street banks. Way to follow through with the theme. Here's what the wine looked like. 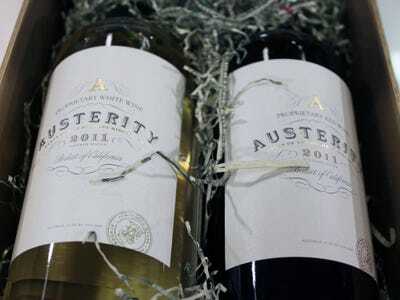 The red and white are both blends from California grapes, priced at $16.99 each. 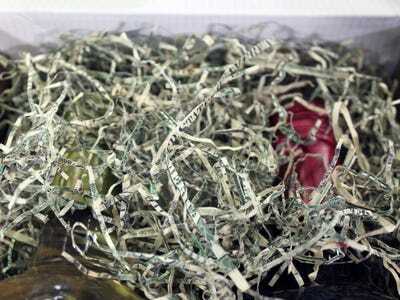 Yup, those are shredded dollar bills cushioning the bottles. 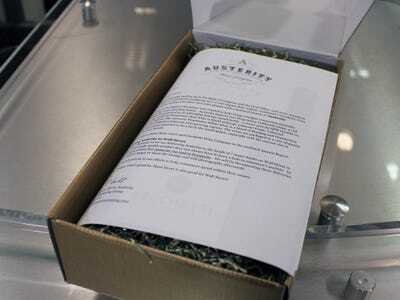 We can't vouch for the taste of the wine, but we'll give this PR package an A for effort.